Relax into a nurturing spa package at Bangkok’s Baan Sabai day spa. Slip away from city noise for a 30-minute body scrub followed by a luxurious 2-hour massage. Choose from natural essential oils or rejuvenating coconut oil, and let the spa’s experienced practitioners restore your body’s balance and tone. 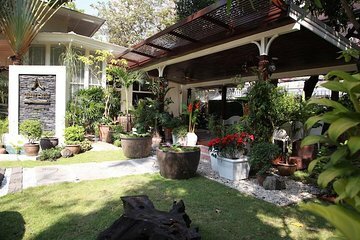 Discover an oasis in the heart of Bangkok, and take time to care for your mind, body and spirit. We enjoyed the massage here very much. Nice people. Good massage! My overall experience was great. I love the massage. I felt relax. It was well worth it. Thank you.